The programme will now be as follows: The Streif Downhill will take place tomorrow (Friday) at 11:30 hrs. On Saturday, the Slalom is scheduled to start at 9:30 hrs, followed by the Super-G on Sunday (from 13:30 hrs) to round off the event. ...explained Huber in the presence of the Team Captains. “We’re expecting up to 30 cm of snow by Saturday morning. That would have made it much more difficult to put on a successful Downhill”, said Huber, justifying the programme changes. 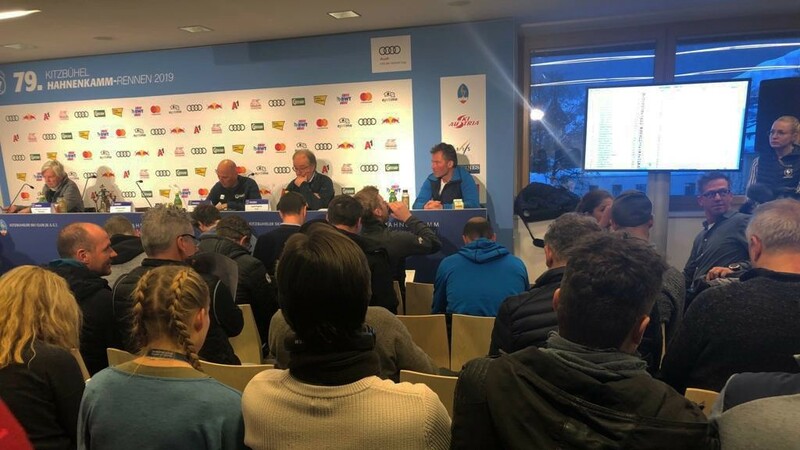 Following these announcements, tomorrow’s Downhill was confirmed by those responsible and the bib draw took place.